Taffy Brodesser-Akner’s frank essay in the New York Times about seeing Fiddler on the Roof for the first time—“in actual Yiddish,” as she writes—serves as a love letter to the power of live theater. 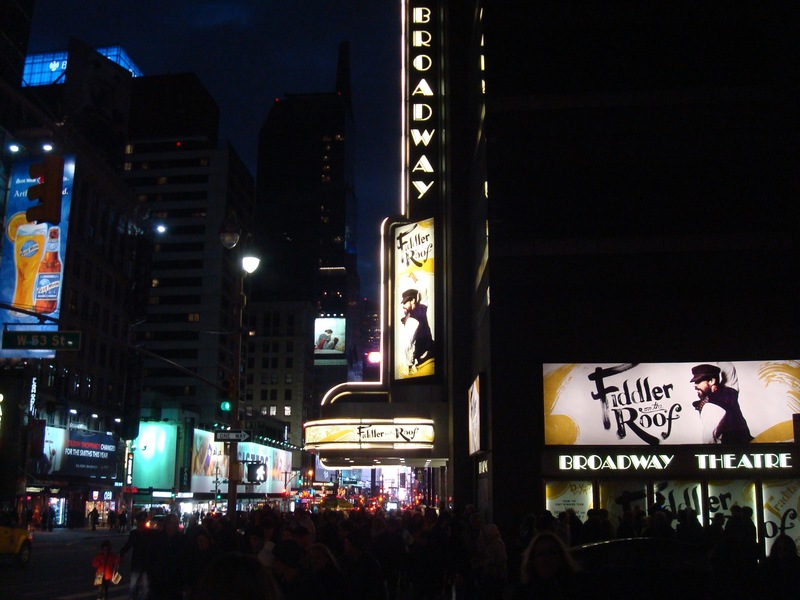 Brodesser-Akner confesses that she can hardly believe it took her so many decades to see Fiddler, and understands her failure to see the show as confirmation of some of her Orthodox family’s harshest critiques of her as a “self-hating” Jew. “Puddly” from tears, Brodesser-Akner acquiesces to the accusation. Perhaps her mother was right: avoiding Fiddler was part of avoiding her personal connection to Jewish history. But Brodesser-Akner’s interpretation of the show as a part of a heritage that she should “lean into” is deeply flawed. “I am part of a long history,” she writes, “for better or worse. Why shouldn’t I lean into the poignancy, made manifest on the stage, of a familiar struggle?” She is indeed part of a long history: that of American Jewish adaptations of and reactions to Fiddler on the Roof. But the “long history” to which she refers is not that history, but rather the history of European antisemitism, a fantasy version of which is featured in Fiddler’s famous wedding-day pogrom and in the protagonists’ expulsion/exodus from their shtetl at the show’s end. As many scholars have pointed out, Fiddler on the Roof is not Jewish history; it is Jewish mythology. This should not come as news to scholars of American Jewish history and literature. 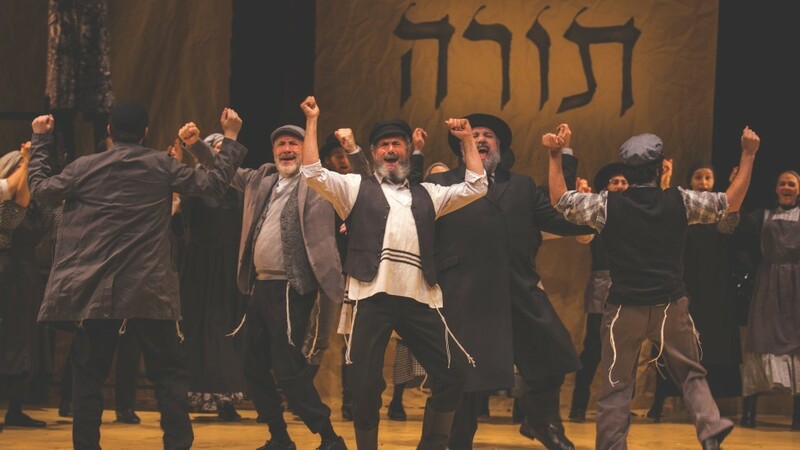 At the show’s debut in 1964, Jewish writers like Philip Roth, Cynthia Ozick, and Irving Howe critiqued not only Fiddler’s distortion of shtetl life, but its misrepresentation of Sholem Aleichem’s Tevye stories, the source text for the show. There never was an Anatevka full of jolly, singing-and-dancing Hasidim, not in the annals of Jewish history, and not in the fiction of Sholem Aleichem. And that’s okay, so long as audiences recognize Anatevka and its residents as fiction. The story resonates not because it is “true” in a historical sense but because the family romance it recounts contains certain human truths. In conflating American Jewish shtetl nostalgia with actual Jewish history, Brodesser-Akner misinterprets what Fiddler represents: a reimagination and retooling of the Jewish past to serve American Jewish identity-making and to address questions about modernity, intergenerational conflict, and the interplay between the particular and the universal. Instead, she confuses the show-stopping past written by Broadway songsters with the history of East European Jewry. Brodesser-Akner is not alone in understanding Fiddler as something more than an evening of song, dance, and modern romance. Alisa Solomon’s comprehensive cultural history of Fiddler from stage to screen exposes the show’s remarkable reach into global politics and national storytelling. Zooming in on a handful of special productions of Fiddler, Solomon demonstrates how the music and family dramas offer something more impactful than a mere reflection of Jewish history. Tevye and his daughters become ciphers for all kinds of issues: racial segregation in American schools, the Occupy Wall Street movement, the unpredictable landscape of religious ritual, Poland’s relationship with Polish Jews, living and dead. To imagine Fiddler—particularly its 2018 Yiddish iteration—as reflective of the East European Jewish past does a disservice to the multiple threads of actual Jewish history, erasing the real-life romance and drama of those Jews whose lives never looked anything like Tevye’s in Fiddler. The musical’s popularity as history lesson has lent it the status of the American Jewish master narrative, silencing the diverse histories of non-Ashkenazic Jews whose languages, appearance, and religious practices would have been alien to shtetl Jewry. Fiddler-as-history leaves out the possibility for another kind of Jew, the one who leaves the shtetl already secularized. Only the Marxist Perchik enters the scene as evidence of non-observant Jewishness. Importantly, Perchik is a stranger who comes to Anatevka from the much more metropolitan city of Kiev; his story is distinct from the native fabric of shtetl life, and he and Tevye’s daughter Hodel will not join the others as they make their way to America. The production and popularity of Fiddler on the Roof reflects one of the ironic mandates of American belonging, as Laura Levitt explains: “to assimilate into the dominant Protestant culture of the United States, Jews were required to identify their Jewishness as a form of religious faith to remain visible as Jews.” In other words, maintaining Jewish particularity for the descendants of secularized immigrants meant “remembering” ancestors whose Jewishness was religiously marked—a Jewishness like that of Fiddler’s Tevye, with matchmakers, and long beards, and Tradition! The Anatevkans are jolly and non-threatening; they believe in modern love while maintaining the appropriate cultural boundaries. Fiddler’s deeply American version of a mythical East European Jewish past became, for many American Jews, their reigning historical narrative because it offered a decipherable image of Jews for all Americans. Those constructed Jewish memories, exemplified by the original stage production, demand Tevye’s Hasidic-style piety but in a language understandable to all Americans. This meant that when Tevye introduces himself and his shtetl to audiences for the first time, he does not refer to his tzitzis, but to “these little fringes.” Golda sings a “Sabbath prayer,” not a lid far shabes. While the Yiddish translation used in the Folksbiene production that Brodesser-Akner writes about was composed in the 1960s by Shraga Friedman and performed in Israel in 1965, now is the first time this translation has been staged in the United States. The success of the Yiddish translation in America of Fiddler depends on the English-language lyrics and story already being ingrained in American imagination. Brodesser-Akner’s piece attests to as much. Even though she had never once seen the show or film, “I knew every single song,” she writes. Knowing the songs means they remain familiar and recognizable even in a new language, so that audiences can easily slide between Yiddish concepts in American terms. Yiddish, though, is not just any language. Brodesser-Akner acknowledges its specialness when she describes the show she saw as “the version in actual Yiddish.” It is worth interpreting the meaning of the term “actual” here, and her use of italics for emphasis. “Actual” seems to imply “original” or “authentic,” a surprising twist for what is only one of nearly a dozen translations of the show across the globe. Yiddish is Tevye’s presumed language (and the language of Sholem Aleichem’s Tevye stories), giving the Yiddish translation the effect of being the original source text. 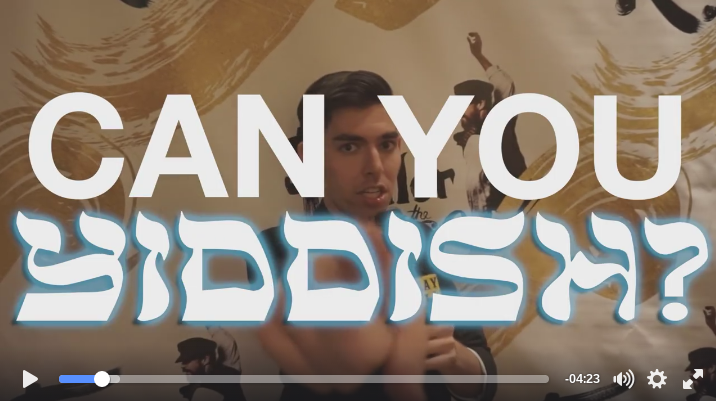 So if Fiddler already felt like history to American viewers like Brodesser-Akner, then its Yiddish translation becomes a “more authentic” representation of that history than the English original. Translation theorists use the term “retroversion” to describe the process of translating a text back into its original language. Texts like the New Testament, however, have a presumed rather than a known original language (in this case, Hebrew or Aramaic), making retroversion efforts partly a performance in recovering an alleged lost original text. Naomi Seidman labels the process of “recovering” a lost presumed original through translation “pseudo-retroversion” because there is no original against which to compare the translation. The effects of these translation projects as described by Seidman—redirection, obscuration, conflation—work to hide the fact that a Hebrew translation of the New Testament is just another translation, a new edition of an old text. There is nothing to “recover.” Yiddish Fiddler has the same effect. Like Seidman’s example of New Testament translations into Hebrew, the Yiddish translation of an English musical is part of an authenticating strategy, rendering the show’s newest adaptation a seemingly “truer” version of the shtetl tale than its original telling in English. Like so many Jewish audience members before her, Brodesser-Akner was primed to see Fiddler as Jewish history. Watching its production “in actual Yiddish” confirmed the story’s historical authenticity. Yiddish Fiddler’s pseudo-retroversive effects obscure Ashkenazic history, further elevating the story’s status as the master narrative of American Jewishness and limiting Jewish history to a distinctly Ashkenazic fantasy type. In an acrobatic twist, Brodesser-Akner manages to proclaim Fiddler as Jewish history while also mapping the story onto our current moment as a metaphor for resurgent anti-Semitism. She understands the story set in the nineteenth century—a “village acquiescing; the wedding that turns violent”—as “all history to me,” reminders of the annual Yom Hashoah testimony she heard in school as a child. Even more current, she sees parallels with the recent attacks on Orthodox Jews in Crown Heights and the torch-bearing marchers chanting “Jews will not replace us” in Charlottesville in 2017. In this way, she constructs a limiting view of Jewish history and de-historicizes Jews as a people subjected to the same basic plot over and over again. In so many ways, Brodesser-Akner’s honest and emotional reaction to the show is neither unique nor necessarily objectionable. Great musical theater should move us; we should see ourselves in the singing-and-dancing storytellers on stage; we should delight in the risk inherent to live performance; we should revel in the irony of feeling nostalgic for something we are experiencing for the very first time. The problem with Brodesser-Akner’s “Tradition Omission” is that she propels these raw feelings outward, into venues like The New York Times, without the critical distance that readers deserve. Several generations of scholars have analyzed this show, so much so that scholarship about Fiddler on the Roof has become its own kind of sub-field. (Not to mention the rich scholarship on Yiddish in America, Jews and musical theater, Jewish nostalgia, and so on.) Fiddler’s Yiddish translation merits discussion in The New York Times, not as history or metaphor, but as a window into how Jews tell stories about themselves. Hammerman, Shaina. 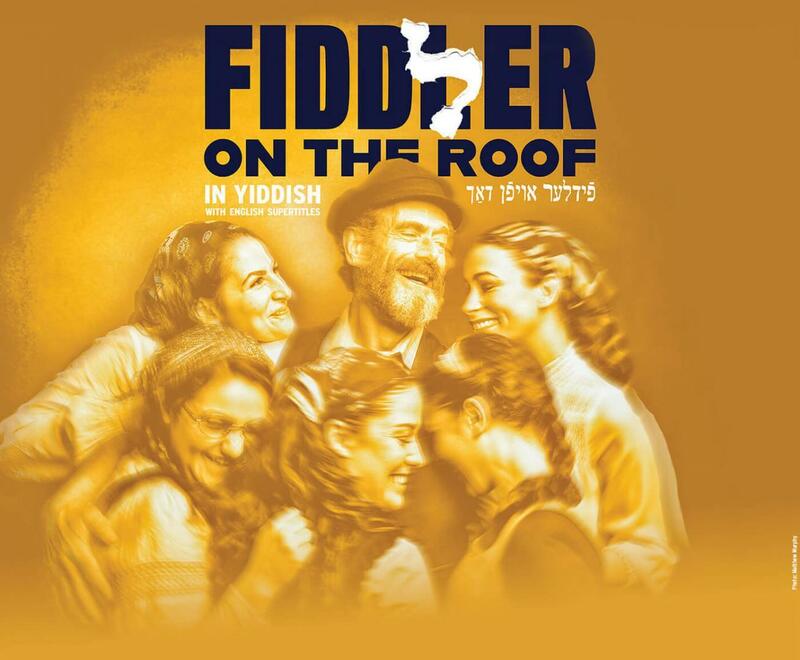 “Another 'Tradition Omission': Reconsidering Fiddler on the Roof in Yiddish.” In geveb, April 2019: https://ingeveb.org/blog/another-tradition-omission-reconsidering-fiddler-on-the-roof-in-yiddish. Hammerman, Shaina. “Another 'Tradition Omission': Reconsidering Fiddler on the Roof in Yiddish.” In geveb (April 2019): Accessed Apr 20, 2019. 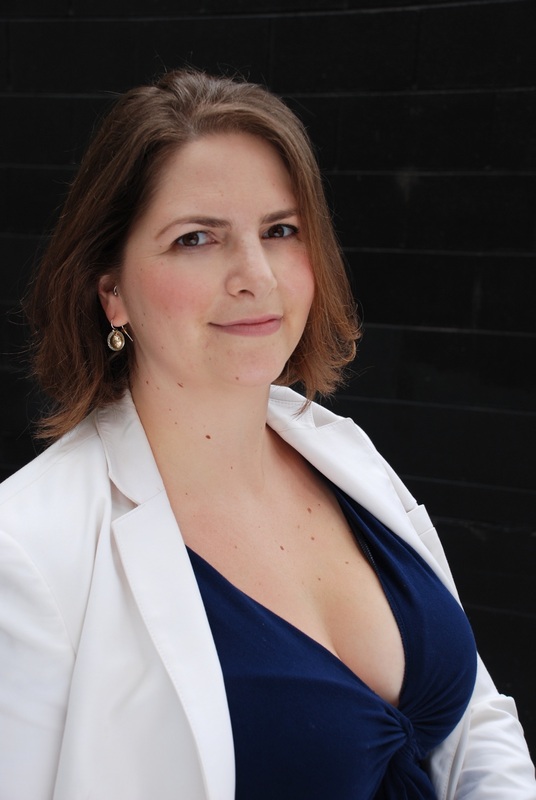 Shaina Hammerman is the author of Silver Screen, Hasidic Jews: The Story of an Image. She teaches Jewish cultural history at the University of San Francisco.